Beautiful! Thank you so much for sharing your wonderful edging design! Thank you Angie, I love your blog sooooooooo much !!! 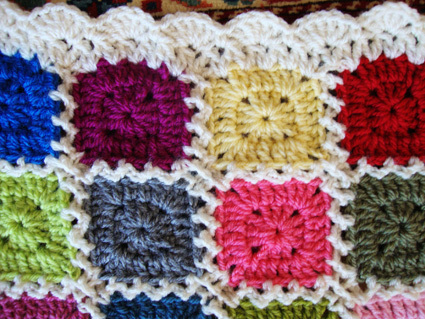 on August 27, 2011 at 5:01 pm | Reply Katrin W.
The edging is perfect for this blanket! Very well done! thankyou angie i will give it a try. I am so blessed to have seen this today! Thank you for sharing this excellent pattern. I have a lot of scraps but have not found a project with which I wish to use them. Here is my answer! Love how sweetly it is joined and bordered! Wow! this is beautiful! 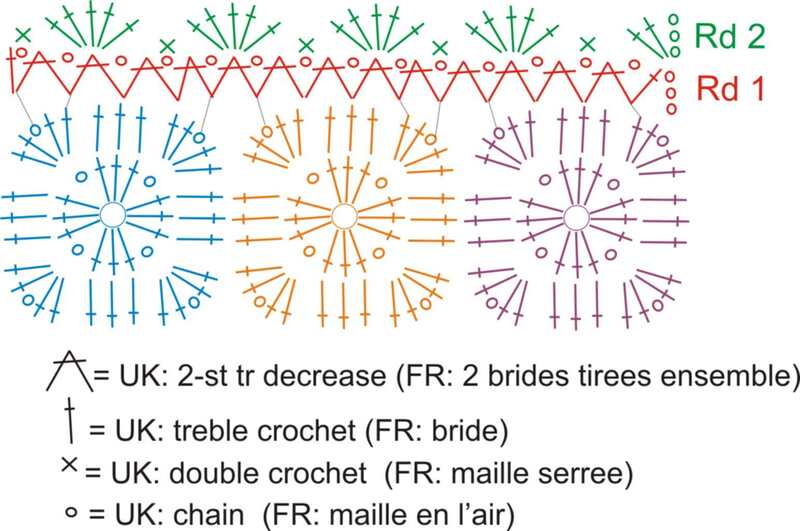 my only regret is that I’m not able to understand crochet charts but…I’m trying to learn it for don’t miss some wonderful patterns!!! Love love love this! So incredible. I guess I am just going to have to learn how to read and do new stitches. I only know chain, double and single crochet. I am so intimidated, yet your work is so inspiring! Angie – Your charts are clear and easy to understand. 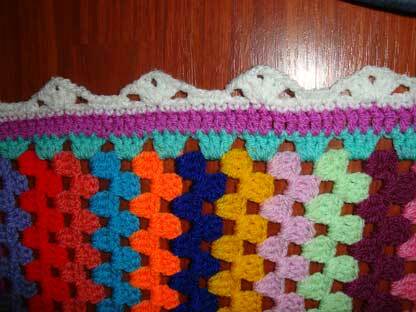 I am on the last several rounds of my giant granny, and these squares will be perfect to use up what is left. I am anxious to try your zig zag join. 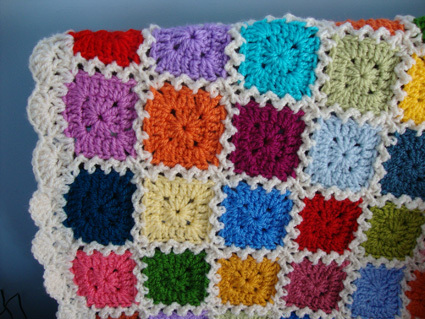 Your blanket is just beautiful! I really love your blog. The edging is so nice. God bless you. I live in Caracas, Venezuela. This is really so beautiful!!! Thanks for the tutorial! well done, its gorgeous, thank you for sharing the directions! Sorry saw next post!!! Thanks!! !